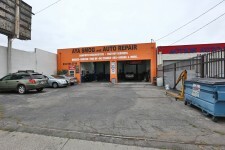 We have too many properties that fit your criteria. 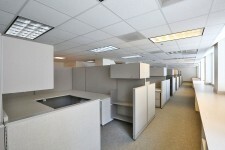 Can you be more specific in your search? 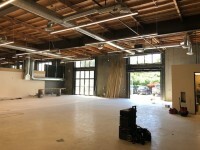 A Full size brewery with multiple seating areas. 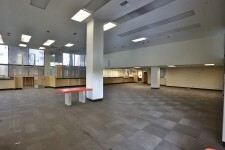 Includes two full bars and multiple levels of raw vacant space. 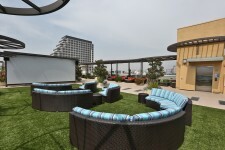 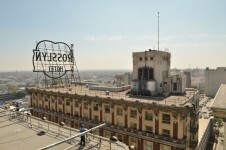 Features original architecture and a great view of Los Angeles from the rooftop. 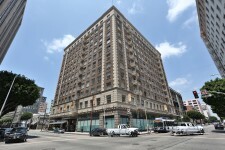 1600 Vine is now film ready! 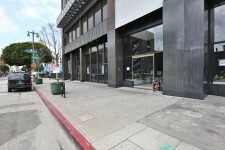 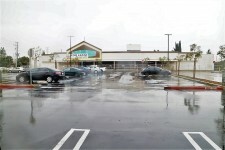 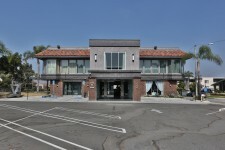 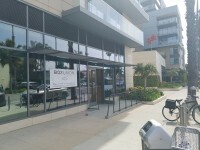 This location features a great look, with vacant, dressed units, pool, great lobbies, and a restaraunt on the ground level. 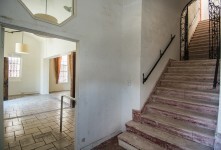 These expansive San Pedro Beths are now film ready. 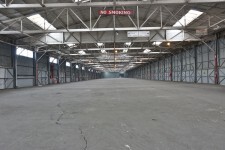 Offiering waterfront docks and large open space. 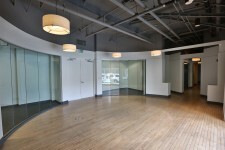 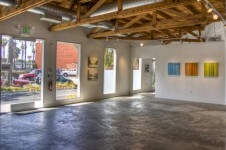 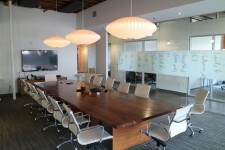 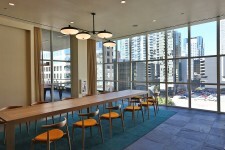 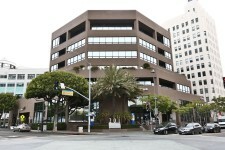 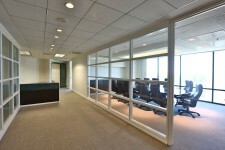 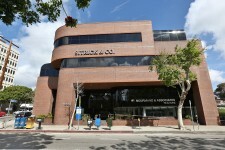 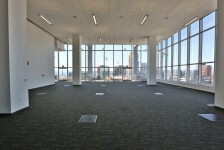 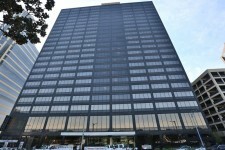 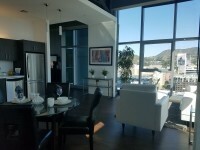 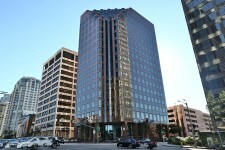 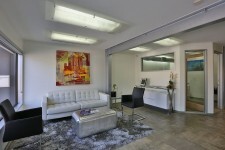 This awesome location has multiple looks, including large open studios with full glass views. 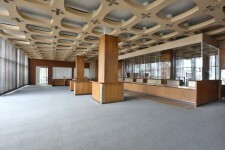 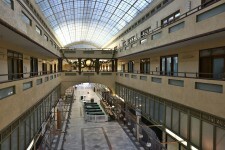 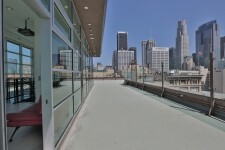 Also includes a great antique ballroom, and a great rooftop with amazing views. 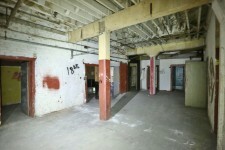 The lofts at 8th and Grand are now film ready! 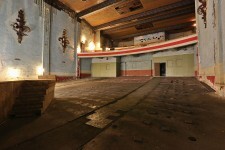 This dressed vacant school is film ready. 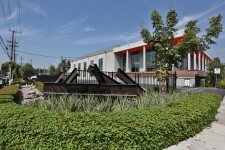 It has Urban appeal with an exterior basketball court, lockers, and many dressed classrooms. 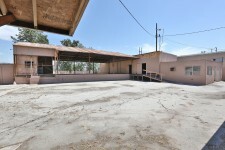 In addition to a school, this property could be shot has a prison, re-hab, or mental instituition. 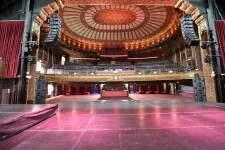 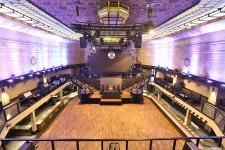 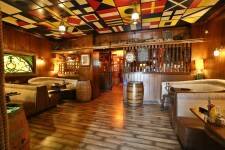 Exchange LA is a premier venue for club and bar scenes in Downtown Los Angeles. 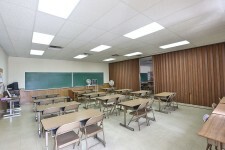 Please ask our staff to schedule a scout. 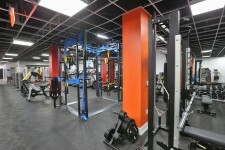 The Amazing Hollywood Athletic Club is now Film Ready! 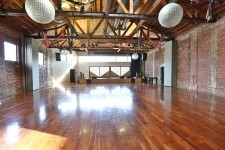 This location features amazing ballrooms, with historical design, industrial kitchen, large open gymnasium with 2nd story track. 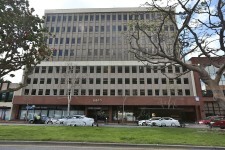 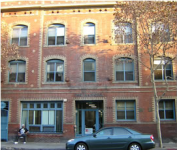 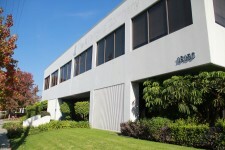 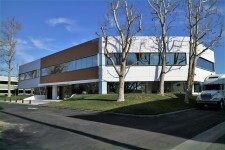 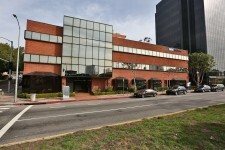 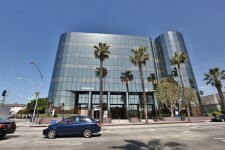 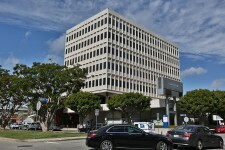 This 27,000 sqft lot features 2 floors of vacant offices for production. 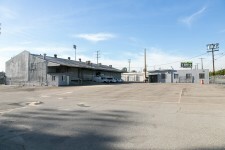 There is 15 car parking and a covered stage area looking out over the LA river. 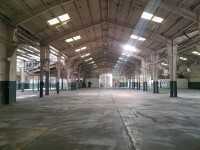 Ideal for a music video, prison yard (could be dressed as a jail), a construction site. 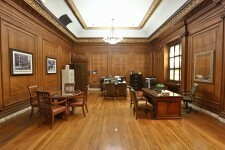 Perfect for a "gritty" scene. 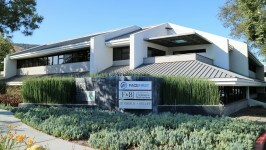 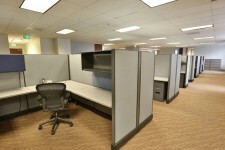 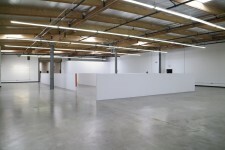 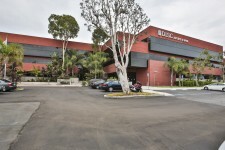 This clean warehouse and corporate office property is film ready. 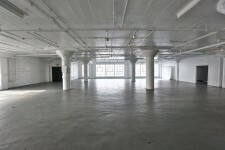 There are warehouse spaces on both the ground floor and the 2nd floor. 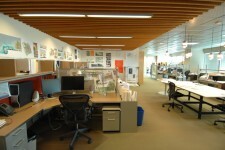 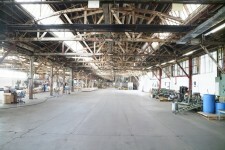 The second floor warehouse has several skylights which provide great natural light. 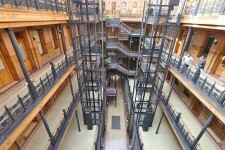 These amazing NYC style lofts are now film ready. 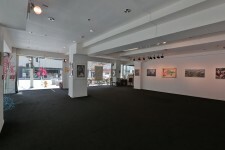 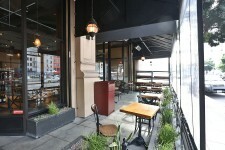 This location features great open layouts with a great New York feel rooftop lounge area. 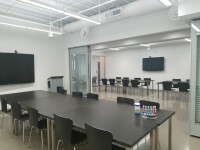 This former General Motors research facility used to house the future of the electric car, but is now home to students of all ages. 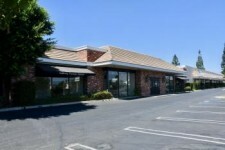 With a ton of great looks, this property has multiple classrooms, common areas, and tons of parking. 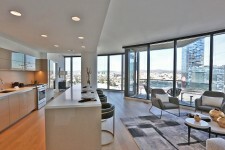 This sleek and sophisticated apartment building features incredible spaces and great decor. 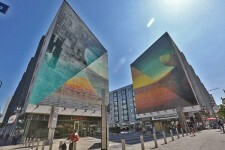 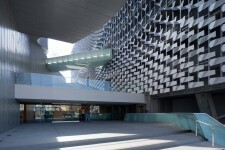 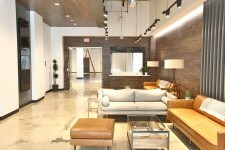 With a rustic and urban vibe, the building can easily play for any city. 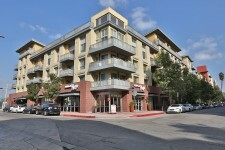 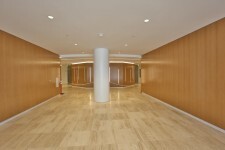 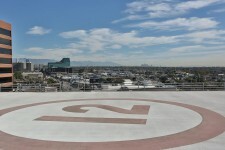 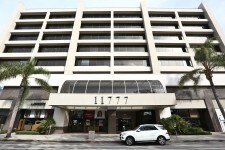 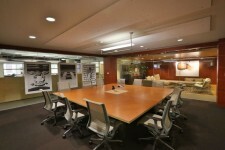 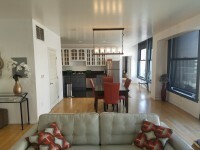 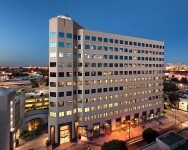 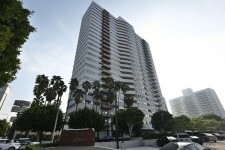 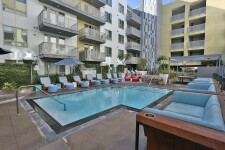 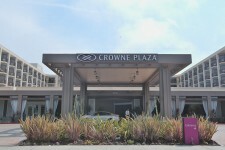 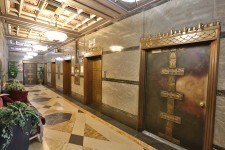 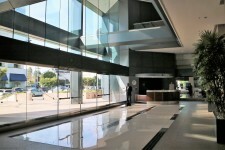 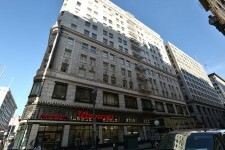 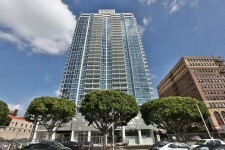 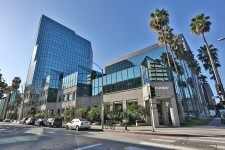 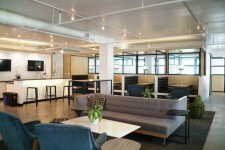 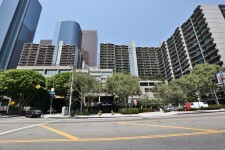 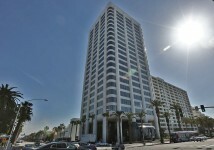 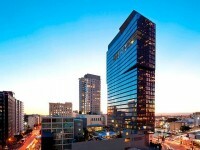 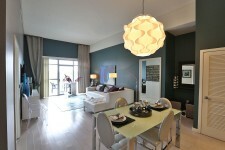 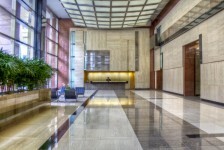 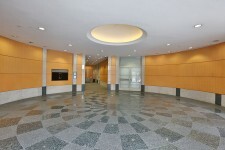 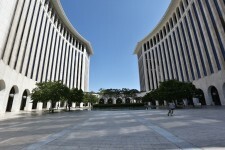 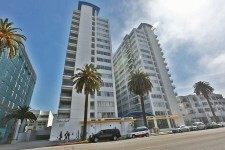 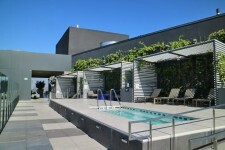 Spacious updated units with great finishes, a fitness center, parking structure, grand lobby, rooftop pool, and helipad. 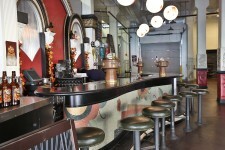 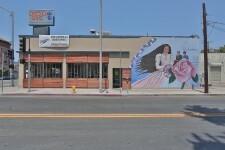 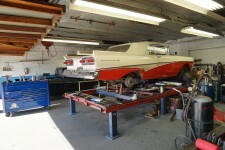 Classis vintage diner in DTLA with counter and table seating, outdoor patio seating, and large parking lot on site. 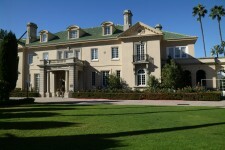 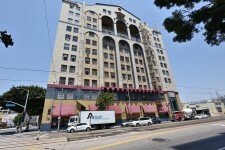 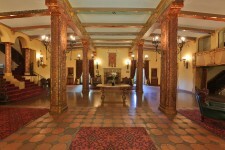 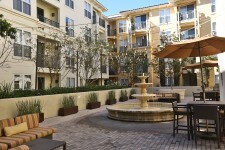 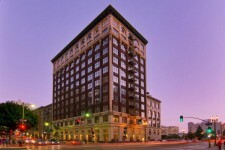 Historic apartment complex located in the Windsor Square / Mid-Wilshire area of LA. 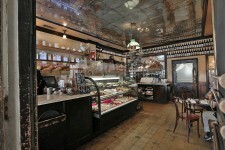 French bakery and cafe in the heart of Los Feliz. 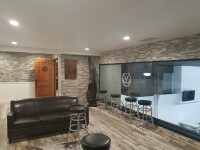 Quaint storefront with European vibe. 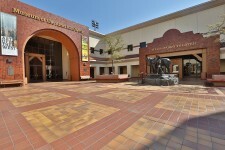 This school campus is now film ready! 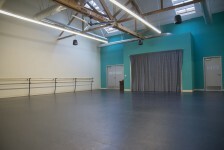 This location features 8 classrooms, an auditorium with stage, and a full Dojo. 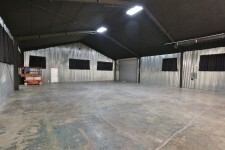 This massive warehouse is now film ready. 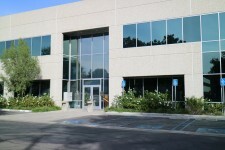 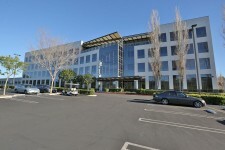 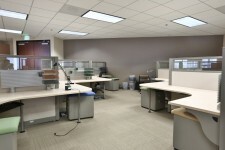 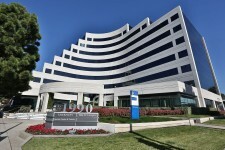 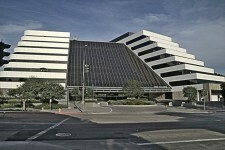 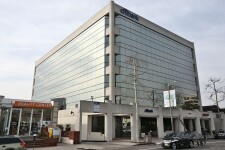 Features offices and on-site parking. 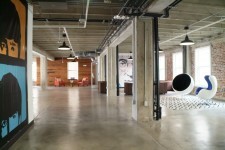 Blackstone Lofts. 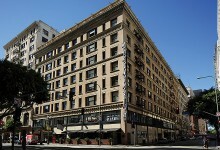 Located Downtown Los Angeles. 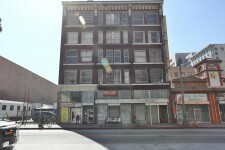 These great DTLA studios are now film ready. 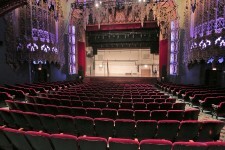 The historic The Theatre at Ace Hotel is now FILM READY. 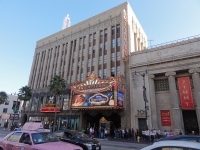 Built in 1927 and filled from floor to ceiling with authentic period details, the theater is a hidden gem inside one of the coolest hotels in LA. 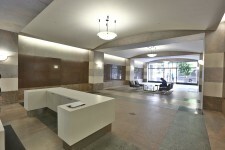 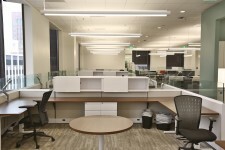 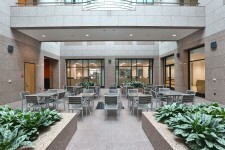 With 3 stories, 1,600 seats, and a 2,300 square foot lobby, this space is expansive. 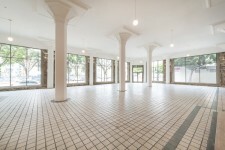 This amazing dressed vacant unit at the Spring Aracade lofts is now film ready! 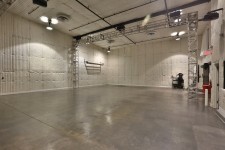 This los angeles sound stage is now film ready! 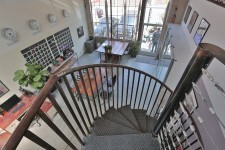 This property has a fully controllable alleyway. 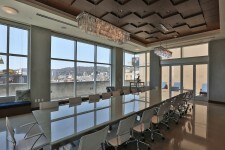 Incredible lobby and rooftop with city views. 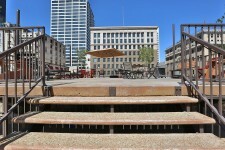 Could easily play for any major city. 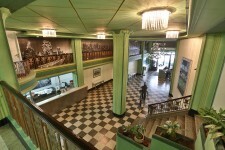 A ton of stairways and hallways throughout. 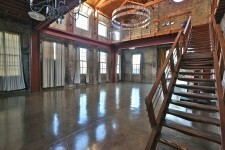 The Artisan House is now film ready! 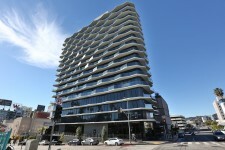 The Pegasus apartments are now film ready! 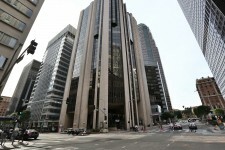 The Vertigo Is now Film ready! 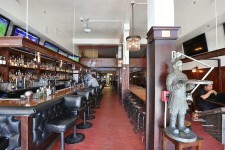 Mr. Furleys is now film ready! 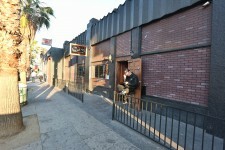 The Brickyrad bar in Hollywood is now film ready! 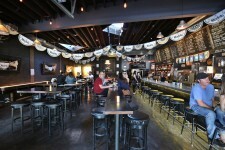 The Brickyard in NoHo is now film ready! 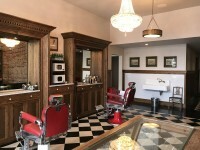 This amazing classic barbershop is now film ready. 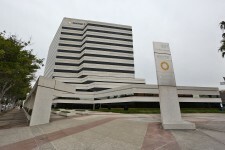 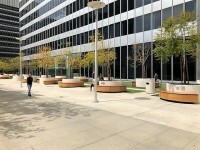 This plaza features a great lobby, and outdoor plaza. 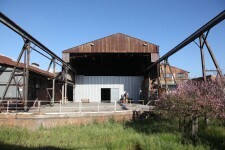 The Alder is now film ready! 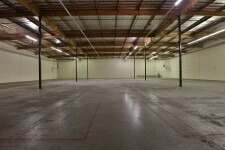 This empty shipping warehouse is now film ready. 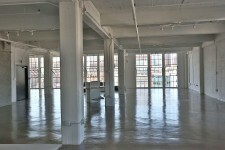 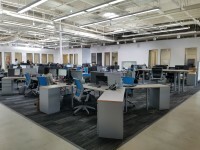 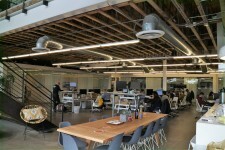 It has great views of the warehouse from multiple different offices. 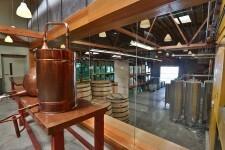 This awesome Arts District Distillery is now film ready! 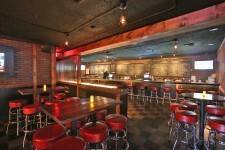 The Redwood bar and grille is now film ready! 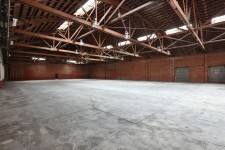 This amazing Frogtown warehouse/stage is now film ready. 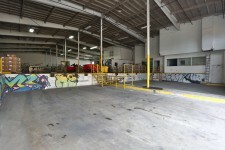 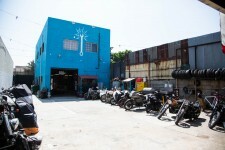 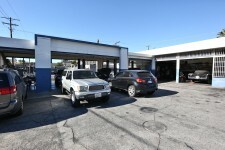 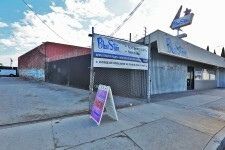 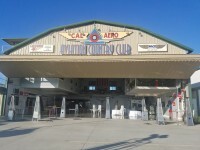 With tons of onsite parking and base camp area this warehouse has lots to offer. 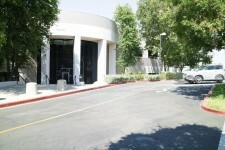 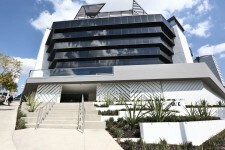 There is also a exterior patio area, hair & makeup rooms, and produciton offices. 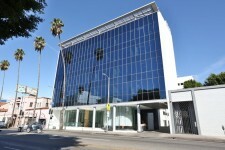 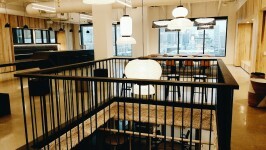 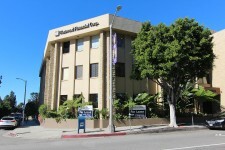 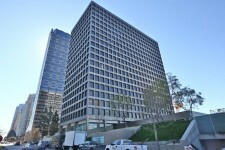 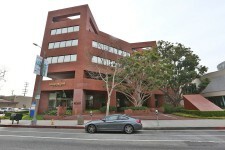 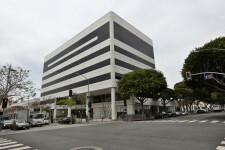 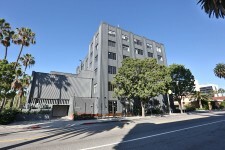 The Wilshire Vermont Lofts are now film ready! 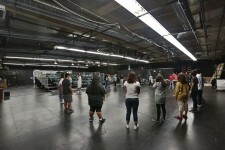 This K-8th grade school campus has what you need for your next production. 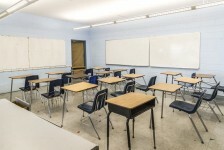 Classrooms, computer and science rooms are available. 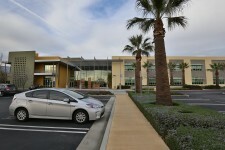 From the drive up and drop off to the indoor basketball court, this school is ready for its close up! 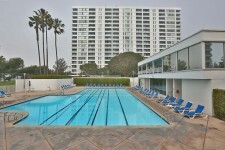 Opened in 1992, this 38 unit complex is perfect for your next shoot. 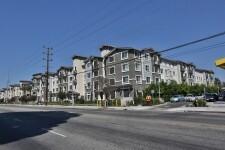 This low income housing building is now film ready. 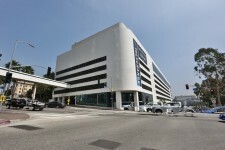 The Grand CentralMarket and Parking structure is now film ready! 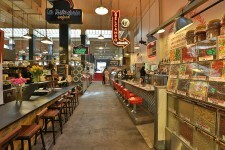 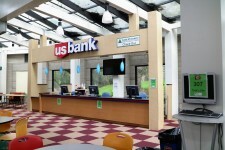 This location features a full indoor farmers market style feel. 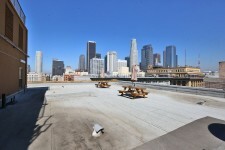 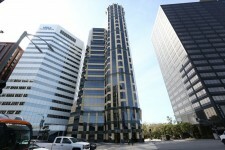 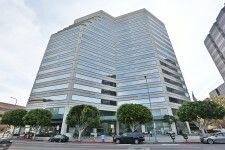 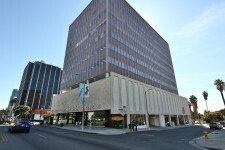 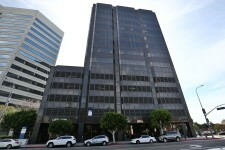 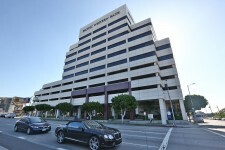 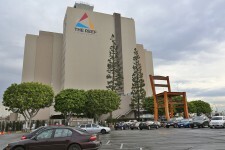 Also attached is a 10 story parking structure with great view of the DTLA skyline. 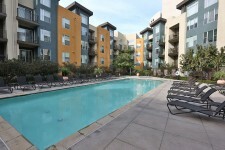 The Hesby apartments are now film ready! 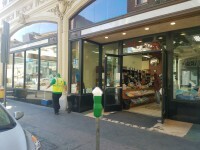 The new mart is now film ready! 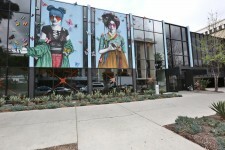 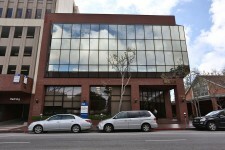 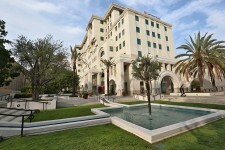 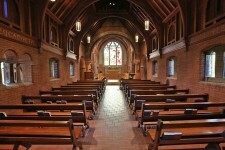 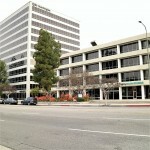 The Acappella Aprmtents located in Pasadena are now film ready! 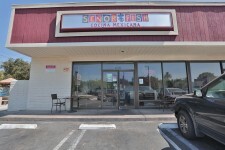 This restaurant is located in a strip mall and features both indoor and outdoor eating spaces. 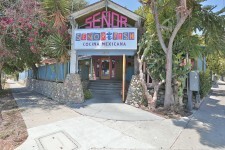 With a large outdoor patio, commercial kitchen, and classic chalk board menu displays, this restaurant is the great spot for your next shoot. 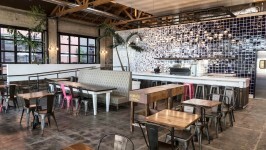 Located on Eagle Rock Blvd, this restaurant is very charming, located in what looks like an old craftsman style home converted to a restaurant. 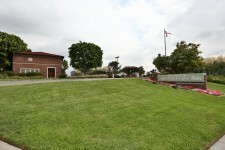 Very colorful with two outdoor eating areas complete with picnic benches and mature trees. 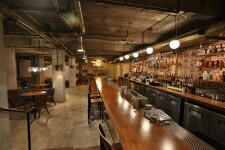 Located on the corner of an intersection, this restaurant is wide an open inside with vaulted and exposed beam ceilings, booth, and bar seating.